Victoria’s Secret Welcomes Kanye, Maroon 5 – Sooo Fabulous! 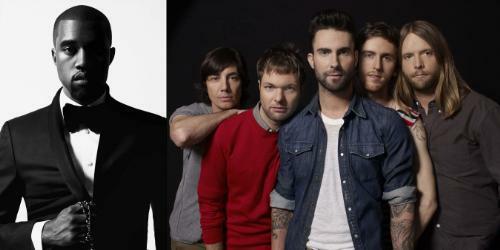 The ever-popular Victoria’s Secret Fashion Show has announced Kanye West and Maroon 5 as its musical guests. Look out for the performers joining supermodels Adriana Lima, Alessandra Ambrosio, Miranda Kerr, Doutzen Kroes, Erin Heatherton, Candice Swanepoel, Lily Aldridge, Lindsay Ellingson, and a bevy of other Victoria’s Secret Angels for the lingerie runway show. The television event airs on CBS on November 29, 2011.at 10:00-11:00 PM, ET/PT and will also include red carpet interviews, model profiles and a behind-the-scenes look at the highly anticipated show. Follow Victoria’s Secret on Twitter for more deets.